1 person to 1000 people. Other No I don't. All halal. 6months to 1 year in advance. 20% upon confirmed booking, remaining/ balance upon completion of service. 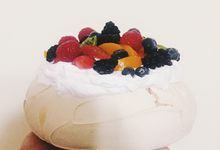 We provide pavlovas - which are still not as popular or common as cupcakes, cakes etc. 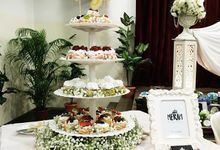 Taking the classic pavlova to the next level with flavours like Ondeh-ondeh, Cocoa Chanel & many more! 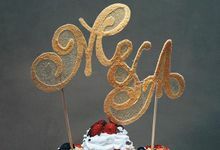 For weddings, we specialize in Cakelova Towers - Top tier cake, Bottom half pavlovas.